In the digital age, marketers now more than ever are looking for ways to make their companies stand out amongst all the noise. However, doing so is often tricky without the right strategy in place. In this day in age, 50% of Americans would choose word of mouth as their source of information. For our most recent book club, the PR 20/20 team read Talk Triggers by Jay Baer (@jaybaer) and Daniel Lemin (@daniellemin) to learn how marketers can make an impact through word of mouth. But, in order to get people talking about your business, you must first give them a reason to. One way you can do this: talk triggers. According to the authors, talk triggers are defined as “a built-in differentiator that creates customer conversations.” In other words, strategic choices that compel word of mouth. 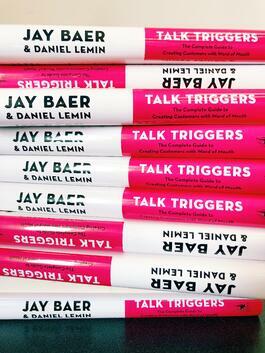 Below, I overview three key elements marketers can utilize to incorporate talk triggers into their marketing strategy based on key findings from Baer and Lemin’s book. 1. Understand the importance of word of mouth. Marketers often underestimate the power of word of mouth. But, did you know 83% of Americans trust recommendations from friends and family and 60% trust online reviews? According to the Baer and Lemin, 19% of all purchases are influenced by word of mouth, but only 1% of companies have a strategy to implement effective word-of-mouth tactics. It’s hyper-relevant. This is customized to tailor to the receiver's needs. Saves consumers time. Instead of conducting in-depth research, consumers can rely on readily available reviews from online sources, family or friends. It’s independent. The individual fueling word of mouth has no financial interest in the sale of the service. So, why aren’t more people utilizing the goodness of word of mouth? In order to fuel word of mouth, marketers must first give consumers something to talk about. 2. Focus on the requirements of talk triggers. Finding that extra spark that gets consumers talking about your business doesn’t have to be difficult. When marketers truly connect with their company’s brand and understand core values, beliefs and what makes them unique, it provides opportunities to dig into differentiating factors. Remarkable. Same is lame. Following top industry leaders is not always the best option. Focus on making a splash for your brand with something people will remember. Repeatable. Contrary to belief, surprise and delight are a stunt, not a strategy. Pick something that works for your company and do it over and over again. Baer used the example of DoubleTree, which gives warm chocolate chip cookies to every single guest that checks in, and people remember this touchpoint about their brand. Reasonable. Experiences that are too grand create suspicion. Focus on being different enough to be talkable, but not so big that it’s not trusted by customers. Relevant. Your content must have context. Think about who you are and what you are about. Focus on delivering one of the four types of “talk triggers:” generosity, responsiveness, usefulness and attitude. A good talk trigger example is Amazon’s customer service. While some may argue good customer service is hard to find, Amazon contradicts this modern stereotype. If a customer experiences an issue with their order, whether it be damaged, incorrect, lost, etc., Amazon customer service will have your back. Between refunds, extended Prime memberships or shipping out new items, Amazon holds true to high-quality customer service to ensure consumers are happy at the end of the day. In turn, this gets customers talking about the great experience they have with Amazon, and how they made a bad situation less painful and even enjoyable. 3. Bring talk triggers to life. Once you have an understanding of the requirements and different types of talk triggers to consider, it’s time to bring yours to life. Gather internal insights from team members to compile knowledge already known about your customers. Get close to your customers to fully understand how you can connect with them, what will most appeal to them, etc. Create candidate talk triggers through identifying potential campaigns that could fuel word of mouth. Test and measure the talk trigger to ensure it’s making the intended impact. Expand and turn on your talk trigger once it’s been tweaked and properly defined. Amplify your talk trigger to expand audience reach and overall impact. Follow the tips throughout this post and be patient as your business’s differentiating factor comes to life. For more information on how you can begin implementing a talk trigger into your marketing strategy, click here. Fuel knowledge through the power of reading. Be the first to know about the latest marketing news, tips and best practices. Subscribe to our blog today. Allison Melnik is a consultant at PR 20/20. 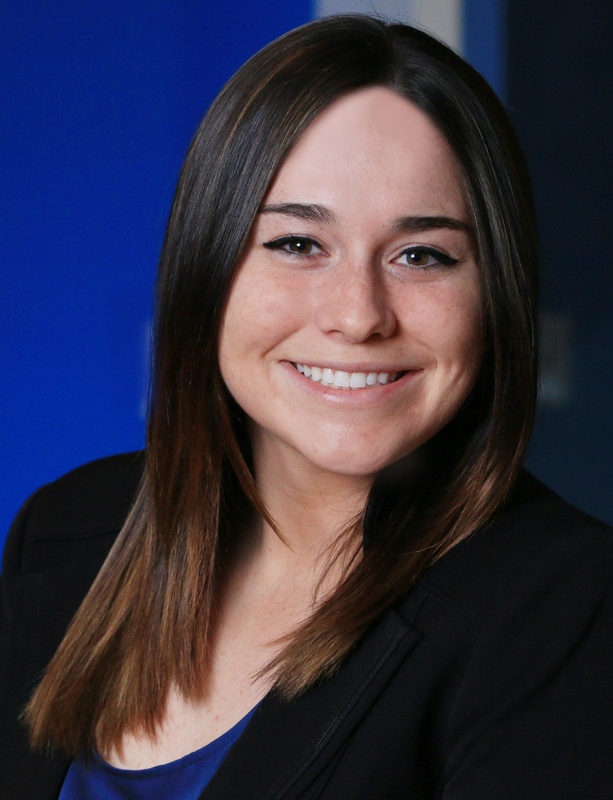 She is a 2014 graduate of Kent State University with a concentration in organizational communications and public relations. Full bio.